experiences developed for the whole child. Not all kids' books and materials are created equal. 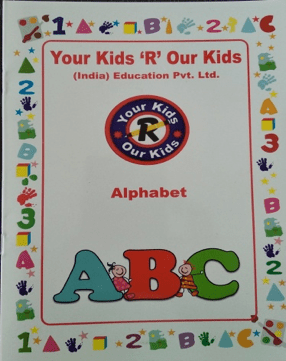 The Learning Library has been specially created and designed by our in-house and IPC team to help to engage the child and encourage him/her to learn through pictures and text. 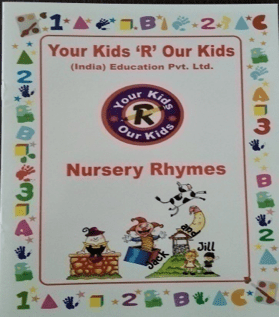 These captivating books with colourful pictures are easy to follow, involve parents and showcase the child's work to instil pride in him/her for the work he/she does. With these beautiful books, learning by doing is a lot of fun. The Learning Library is a proven learning tool for the Brain. 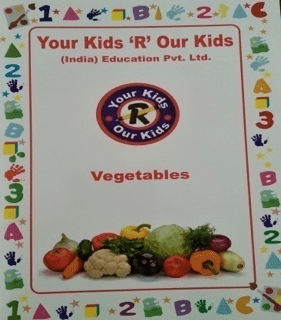 Besides creating our own books and materials, we have also partnered with educational product suppliers for kids from 3 month old infants to 6 years age group. Children who enrol across our centres have a natural and unsatisfiable hunger to experience and to know about the world around them. A child’s access to knowing and learning is only through sensory organs. By hearing, smelling, touching, seeing child’s experiences and learns about the surroundings which leads to an overall development. Every exposure of each sensory organ to a planned stimulation strengthens the sensory bridge between the sensory organs and the brain. This results in the development of all the sensory organs, pathways and the brain. 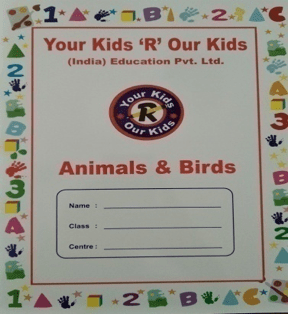 This development accelerates the child's capability of complex learning in future. Numeracy Numbers: Babies will begin to explore numbers in their representative numerical form and understand numbers in terms of objects. Speed: Babies will begin to understand speed such as fast or slow. Language Arts & Literacy Sound/Word Replication: Babies will often attempt to replicate the spoken words of caregivers or parents. Physical Communication: Babies will make gestures to communicate feelings or thoughts such as the nod of the head of the waving of a hand. 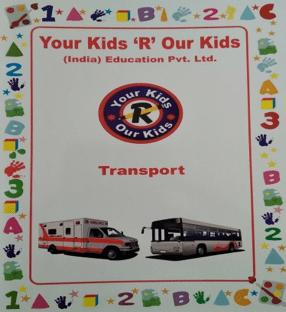 Communication: Kids will be able to respond to basic requests by caregivers of teachers. Vocabulary: Babies will begin to build a very basic vocabulary with words such as “mama” or “dada”. Advanced Babies closer to 18 months in age will have developed a vocabulary of several words. 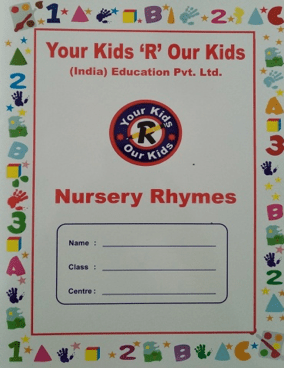 Language Arts: Students will begin to appreciate rhyme in poetry, stories or music. Social & Emotional Skills Social Interaction: Babies will be able to express their emotions in social situations, including a fear of strangers, an attachment to primary caregivers or parents. Emotional Expression: Babies will show a lack of control in expression of feelings and may have temper tantrums. Hygiene and Self Care: Babies will be able to complete basic self-‐care tasks such as hair brushing, or drink from a cup. More advanced Babies closer to 18 months of age will be able to eat with a spoon, identify their body parts, understand basic hygiene. Creative Arts Imitation: Babies will begin to imitate physical and verbal actions. Visual Identification: Babies will begin to identify objects in art or photography. Motor Skills & Physical Development Movement: Babies will be able to stand and walk with support or in a baby walker. Some Babies will be able to walk for short periods of time without support. Standing: Babies will be able to stand for short periods of time. Advanced Babies closer to 18 months in age will be able to stand independently for prolonged periods, walk, climb stairs and run. Babies in this category will also be able to conduct pull and push activities. Numeracy Numbers: Kids will begin to understand number sequences and basic counting. Advanced Kids will be able to count to 5, and some may be able to count to 10 or beyond. Sorting: Kids will be able to sort objects such as shapes and colors. 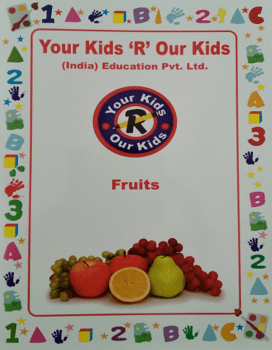 Kids will explore shapes and colors in preparation for Level 1. Language Arts and Music Sound/Word Replication: Kids will regularly repeat the words of others. Literacy: Kids will demonstrate an interest in a story by pointing to pictures or turning pages of a book without assistance. Vocabulary: Kids will have expanded their vocabulary to include body part names, names of peers and other familiar people. Social and Emotional Social Interaction: Kids will demonstrate an ability to involve peers during play. Kids will also demonstrate the ability to conduct tasks independently. Hygiene and Self Care: Kids understand the importance of clothing and shoes. Kids will be able to assist caregivers and parents when getting dressed, for example: sticking their leg towards a caregiver who is tying his/her shoelaces. Creative Arts Imitation: Kids will imitate actions of adults and peers during play or when asked. Visual Identification: Kids will begin to understand the concept of color used in art. Motor Skills and Physical Development Movement: Kids will be able to walk unassisted. Kids may be able to walk up and down stairs and run for prolonged periods. Students will be able to mount themselves on size appropriate chairs and other furniture. Fine Motor: Kids will be able to trace and draw straight lines and the outlines of basic shapes. Hand Eye Coordination: Kids will be able to throw a ball and attempt to catch a ball. Kids will be able to kick.